In 2012 I was fortunate enough to be able to visit Skywalker Ranch (and Lucasfilm at the Letterman Digital Arts Center in San Francisco) as part of a press junket promoting the 3D release of Episode 1: The Phantom Menace. More on that story later! 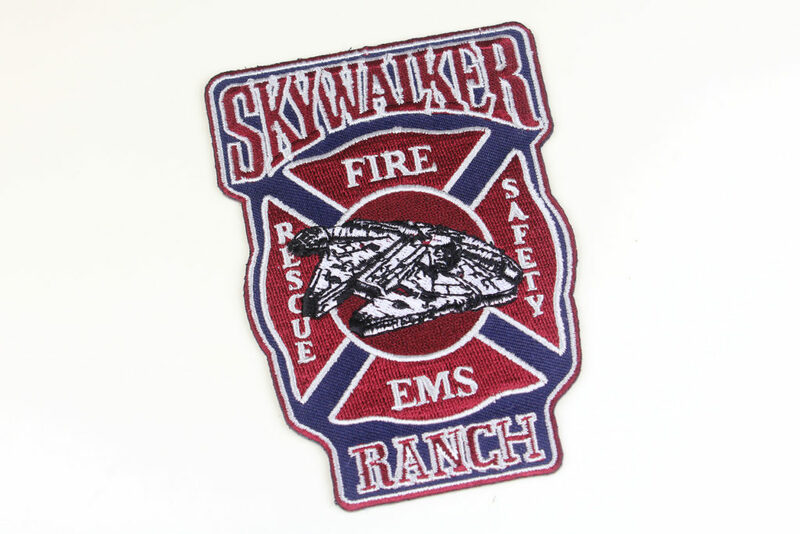 One of the souvenirs I picked up at the on-site Skywalker Ranch General Store was a patch representing the Ranch’s combined emergency services. The accompanying pic below is with our daughter and one of the Skywalker Ranch emergency response vehicles.